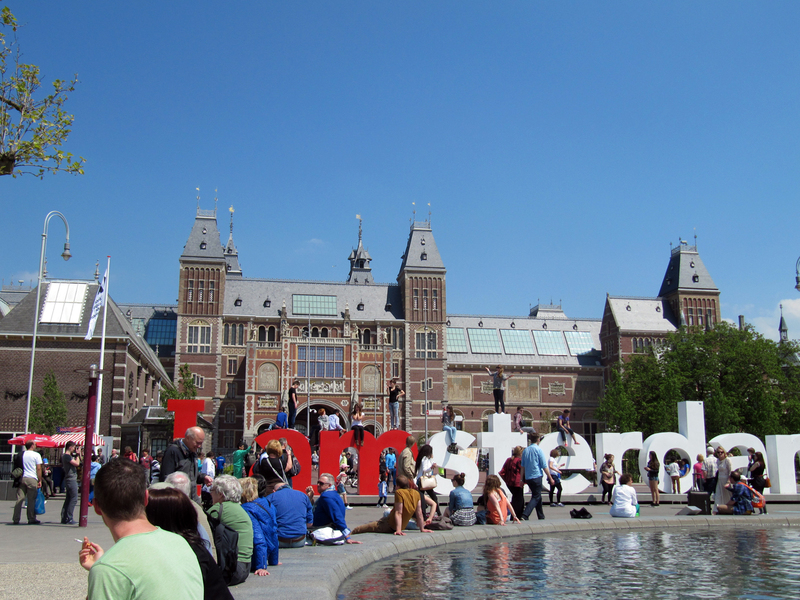 Yesterday it was time for a long planned visit with my girlfriend Ellen to the Dutch capital: Amsterdam. After a dreadful, cold and rainy spring we were in luck, the weather finally was good. Not too cold, not too hot, a blue sky, just perfect for a day of culture and shopping. After a longer-then-necessary train-ride (trains are very often delayed in The Netherlands) we arrived at Amsterdam Central Station. To our surprise outside the station we saw our former queen, now princess Beatrix. She just walked inside the Beurs of Berlage to attend some award ceremony. First we went to the recently renovated Rijksmuseum. The distance from the Central station to the museum is about 3 km. Of course you can take a bus or tram but it is much more fun and cheaper (and healthy) if you walk. The direction-signs are very clear and when walking you can much better see all the old buildings and soak up the atmosphere. 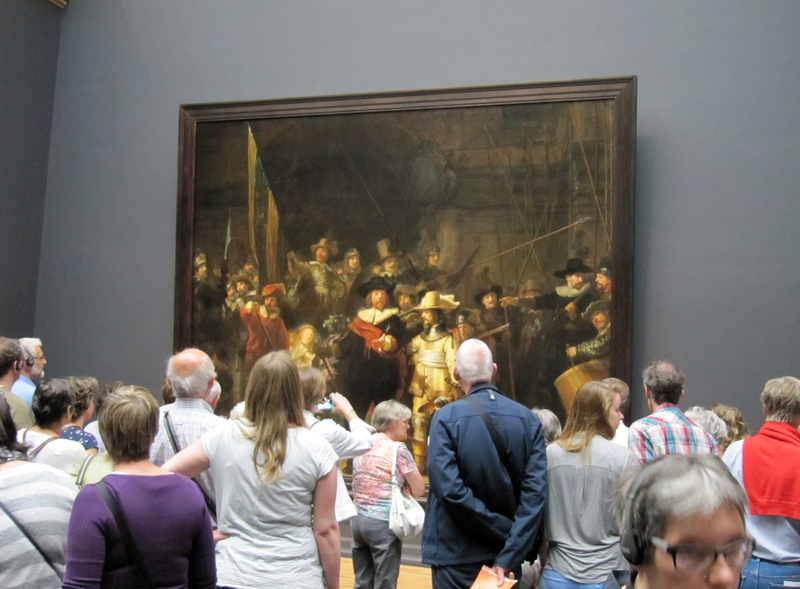 I won’t go into providing lots of information about the Rijksmuseum, after all, this is not an art-blog. But if you click on the links I already provided you soon know what you need to know. A visit to this historic building with it’s vast and excellent collection is mandatory if you are in Amsterdam. The museum has on display 8,000 objects of art and history, from their total collection of 1 million objects from the years 1200 – 2000. And among those are some masterpieces by Rembrandt van Rijn, Frans Hals, Vincent van Gogh and Johannes Vermeer. Beware, it can be very busy in the museum. 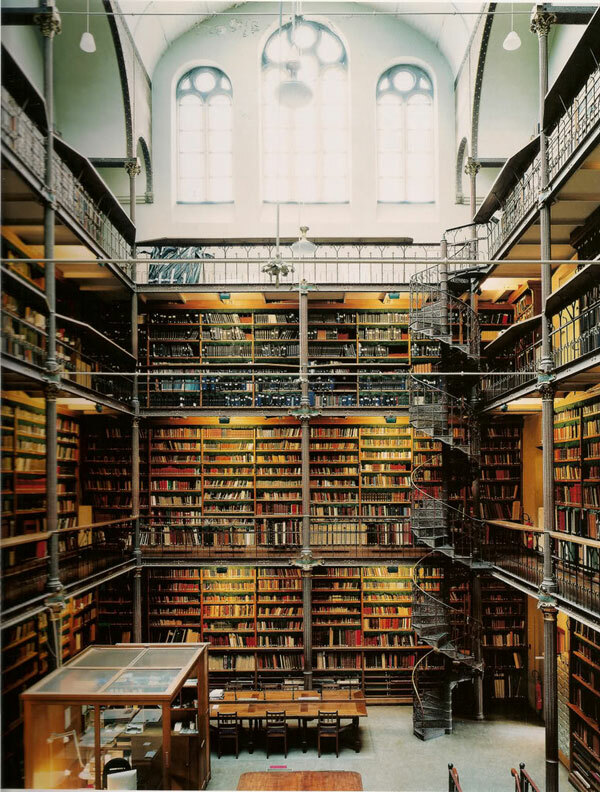 But if you like some peace and quiet you can go to the Rijksmuseum library. Amsterdam also has a pipe-museum. If you are a pipe smoker (which I hope! ), this visit is a must, it is maybe the last museum of its kind in Europe. The two shops on the top I visited yesterday. Sigarenmagazijn Berkman was the first one. Pretty easy to find, walk straight ahead from The Dam until you reach the Bloemenmarkt. Turn right there, walk a few hundred meters and than it is on your left. You can’t miss it because of the large sign on the outer wall. Inside the shop is pretty small but very cosy. The owner is a very nice man who makes you feel welcome at once. He laughed when I asked him about some vintage tins he should have. I wasn’t the first one from the Dutch / Belgian pipesmokers forum to ask about those. Luckily he still had some nice tins of De Graaff Seamen’s Club, a red Virginia mixture for a cheap price. Also he had tins of Samuel Gawith’s Perfection for little money compared to the current prices. Unfortunately I had to cut short the friendly conversations we had because Ellen was waiting outside. She never goes inside tobacco stores.. 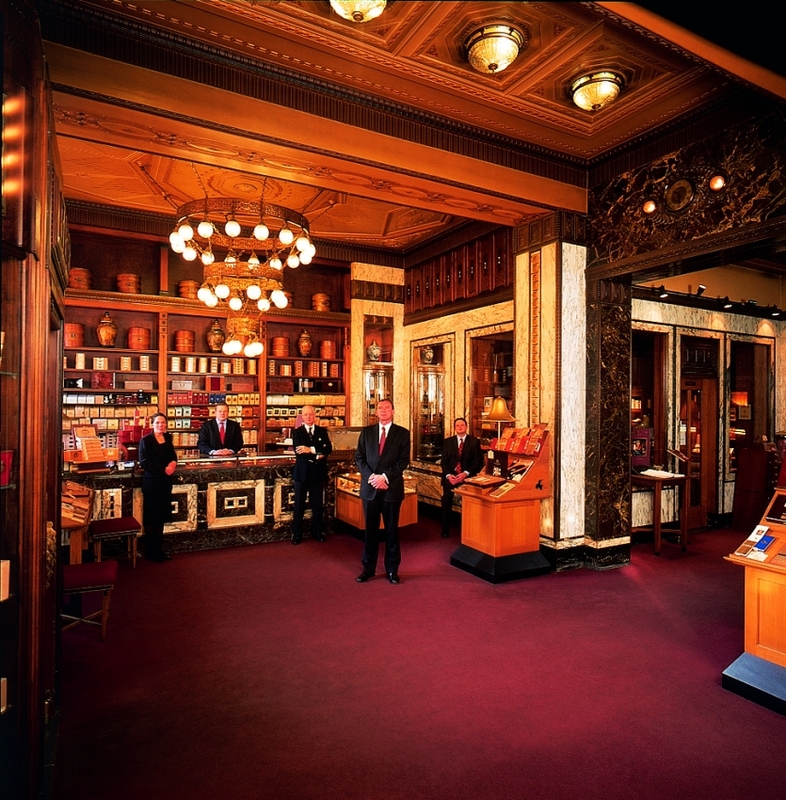 The second shop I visited was Hajenius, the most well-known of the Amsterdam tobacconists. Also easy to find. Walk straight ahead from the Dam, the street there is called Rokin. After about 500 meter the store is on your right hand. 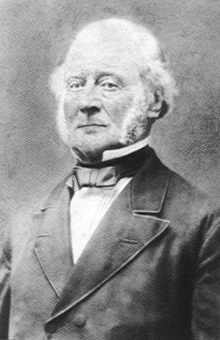 Some history: On September 4, 1826 Pantaleon Gerhard Coenraad Hajenius opened his tobacco and cigar store in hotel De Rijnstroom at the Dam. In 1868 the store moved to another spot on the Dam, due to the widening of a nearby street. The business prospered, more and more diplomas and medals at international exhibitions were gained and thus a high reputation was acquired. The house Hajenius developed into a purveyor of many European monarchs. In 1914 the company was forced to move again to its current location on the Rokin. This time for the construction of the clothing store Peek & Cloppenburg. A year later the store was opened with much grandeur. The new Hajenius building was designed by the brothers Van Gendt A.Lzn. It consists of a functional and modern for that time concrete skeleton with a traditionally styled exterior of natural stone. Above the entrance is the carved royal arms, a reference to the time Hajenius was purveyor to the royal household. On the outside the name Rijnstroom reminds us of the previous buildings of the firm. The rich and stylish interior, also designed by the Van Gendt brothers, remains almost entirely original. The walls and the counters are covered with various kinds of marble, wooden panels and decorative brass-ware. The decorated and gold and bronze colour painted ceiling is divided into compartments. On the ceiling are two colossal brass chandeliers that date from the time that Amsterdam was still lit by gas. The big tobacco jars on the shelves of the display cases are made of Delft pottery and are painted with Chinese scenes. In the back of the store is a very beautiful foyer where you can smoke and enjoy a cup of coffee or something stronger. Since the beginning of this year Hajenius also has a My Own Blend chamber. In short, the name My Own Blend was first used by the renowned Paul Olsen in the 1930’s. The core of all this is that pipe smokers can get their own personal tobacco blend mixed. Personally I think the concept was inspired by the famous Dunhill My Mixtures. More than 35,000 pipe smokers since the 1930’s had their own blends made and one of them is King Frederick IX. In the “recipe database” are over 10,000 different recipes! 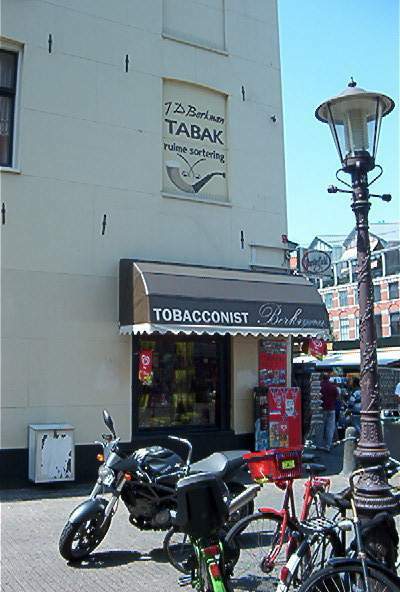 But… in The Netherlands it is forbidden to sell loose tobacco. They solved it by making the My Own Blend chamber a toll-free zone. When the tobacco comes in it belongs to the Scandinavian Tobacco Group. That stays that way until the blended mix is put in a tin and a Dutch tax-seal is glued on. So of course my main target at Hajenius was the My Own Blend chamber. When I entered the store I saw two people behind the big marble counter. An elder man and a young attractive girl. I turned to the geezer and asked if it was possible to get an own blend made. “Of course”, he said, “my colleague will help you”, while pointing at the young girl. Ehrrr… ok, nice.. I stood there, sweaty and smelly but the girl stayed a total professional. She and I walked to the room and I was allowed to go in and make some pictures. In the small chamber stood about 50 big numbered translucent jars with all kinds of tobacco in them. From several Virginia species to Kentucky and burley to orientals to latakia. The first thing the girl asked me if I liked aromatic or natural tobaccos. Natural please! I asked if she had the ingredients I wanted, of course I already had a recipe in mind. She produced some papers with numbered tobacco descriptions on them that corresponded with the numbers on the jars. But, I must say this, she did not need those papers. 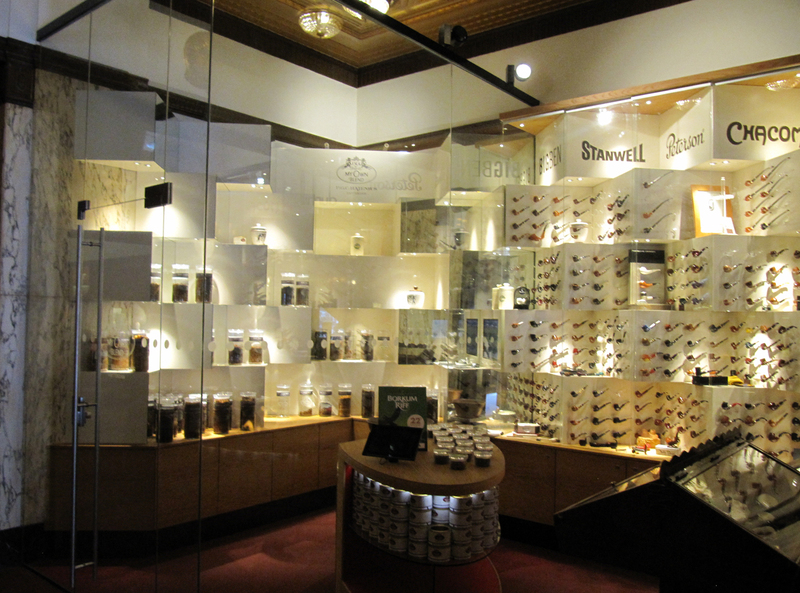 She had memorized what was in the jars and even knew the tobacco descriptions by heart. 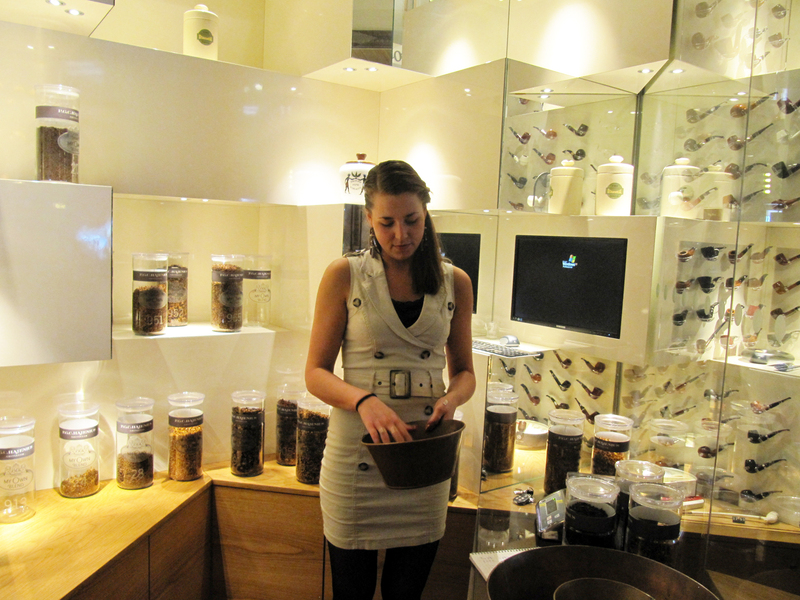 Besides that the girl told me she was trained by Scandinavian Tobacco master-blender Lasse Berg, quite impressive. I also asked if the concept was successful for them. She answered that in Denmark the concept (of course) did very well but that it here still had to take off. Well, maybe they first should update their website I said to which she vaguely murmured something..
After I hastily went through the descriptions (remember, Ellen was waiting outside..) I knew which tobaccos I needed. Some golden Virginias, red Virginias, orientals, black cavendish and latakia. The girl fetched the corresponding jars, weight off the quantities I wanted, put those together and started mixing them. “Hmm.. Is there not too much latakia in there?” She asked. *Sighs* Women and latakia… “No there is not too much latakia in there”, I said. “Together with the other tobaccos a nice balance is created.” When the different ingredients were well blended the girl put the mixture in a 100 gr. tin and sealed it off with a lid. She then produced a Dutch tax-seal and glued it over the tin and the lid. “What is the name of the mixture?” She asked. “Ehm.. Arno’s Mixture 665” I said. In girly handwriting she wrote that on the tin. I asked if the recipe and name of the blend could be saved. Of course that was possible and she put the data in the computer. 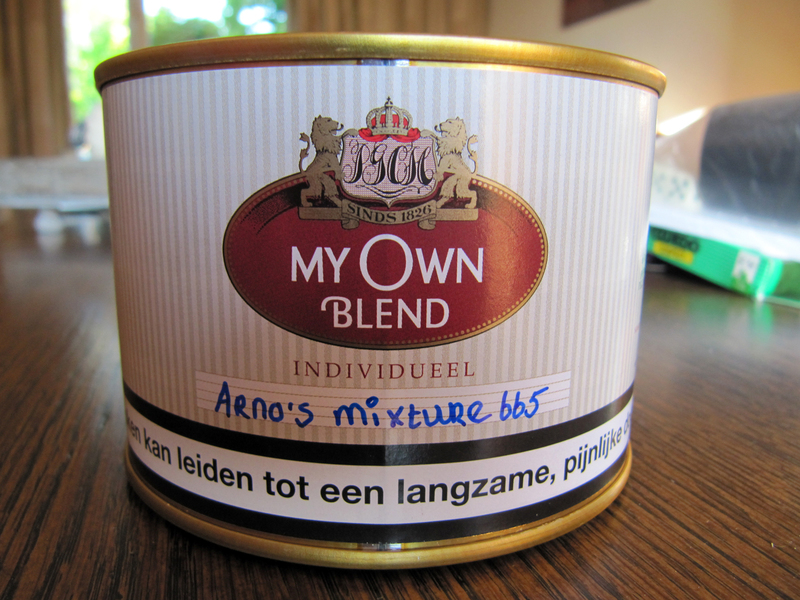 So if someone comes into the Hajenius store he/she can now ask for Arno’s Mixture 665. It is a medium Balkan blend with deep red Virginias, fresh golden Virginia’s, assorted orientals, Cyprian latakia and a bit of black cavendish to round it all out. Remember that if you buy it you should let it rest for at least week and preferably longer. This because the used tobaccos still have to “blend” together. I also found the mixture somewhat dry, so a bit of moistening can do no harm. The price for such a custom blend is €25,50 ($33.05, £21.80). Pretty expensive but considering the whole experience I thought it was very fair. After I came back from Hajenius it was halfway the afternoon and Ellen and I decided to go back home. We both saw what we wanted to see that day. We stopped in Deventer, where we live nearby, to go to a restaurant to nicely round off the day. It was hot enough to eat outside so after a tasty dinner with lots of smoky, grilled meat, I was able to light up a pipe while enjoying a cup of coffee. Ahhh.. Life is good. EDIT 28-9-2017: Sadly sigarenmagazijn Berkman has closed its doors some time ago..
Lovely reviews of both shops and interesting to read how the ‘My own blend’ bar works. Too bad Hajenius was closed on the day you went to Amsterdam. But I think you live closer to it than I do.. I went to Hajenius last Friday and purchased a tin of your tobacco. I am intrigued now, though I was not helped by the young lass in your report. Oh! Cool! 😀 It is wise to leave it closed for a while. I am smoking it now and it improves with each day. The first two days I smoked it, it had the tendency to bite a bit. Now I did not notice that. I guess Hajenius has several shop-assistants who can do the job. I hope you like the tobacco! The latakia content could be higher. If you take GL Pease Lagonda, that one has 60% latakia. And is still smokeable 😉 Also the latakia will mellow out somewhat in time. Hello Jason, thank you! Yes, sadly they are permanently closed..